Large pendant groups limit how closely the polymer chains can pack together and the free volume is increased. The more separate the chains are, the more easily they can move around and the translational mobility increases. 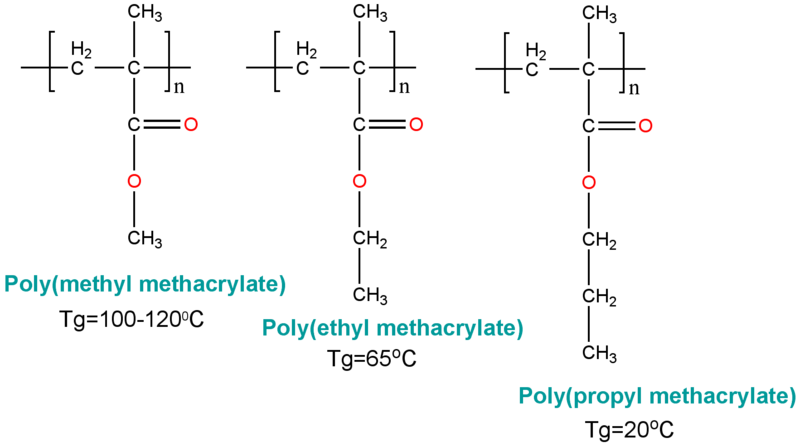 This lowers the Tg as shown above with poly(methyl methacrylate) PMMA, poly(ethyl methacrylate) PEMA and poly(propyl methacrylate) PPMA.